I've been very lucky growing up and all in all have had pretty clear skin but this doesn't mean I don't get the odd ginormous mountain or look of fatigue all over my face! 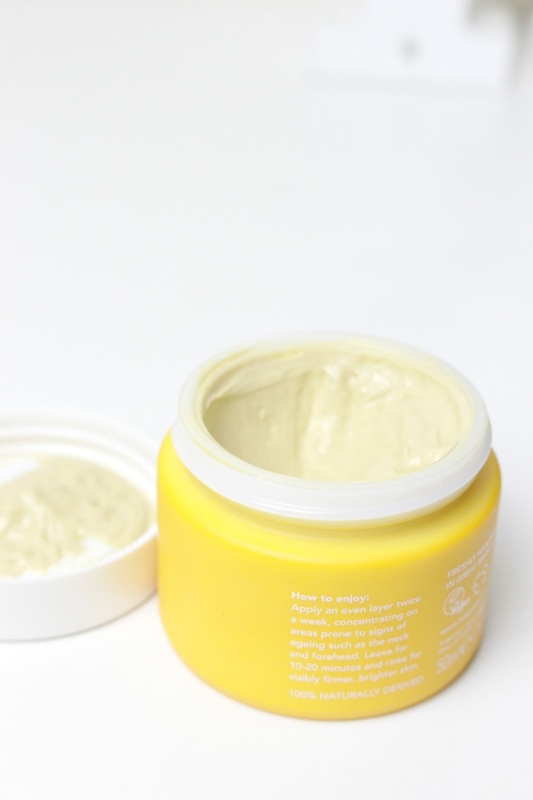 I was recently able to pick out a few bits to try from Tropic Skincare, and as a face mask hoarder, of course it was at the top of my list. This mask is described as 'an intensely tightening, age-defying mask to firm and brighten your skin.' which is literally what sold me. For 27 I feel like I have WAY too many wrinkles and crinkles on my face so if something can give my skin a boost AND defying the signs of ageing... I'm in. 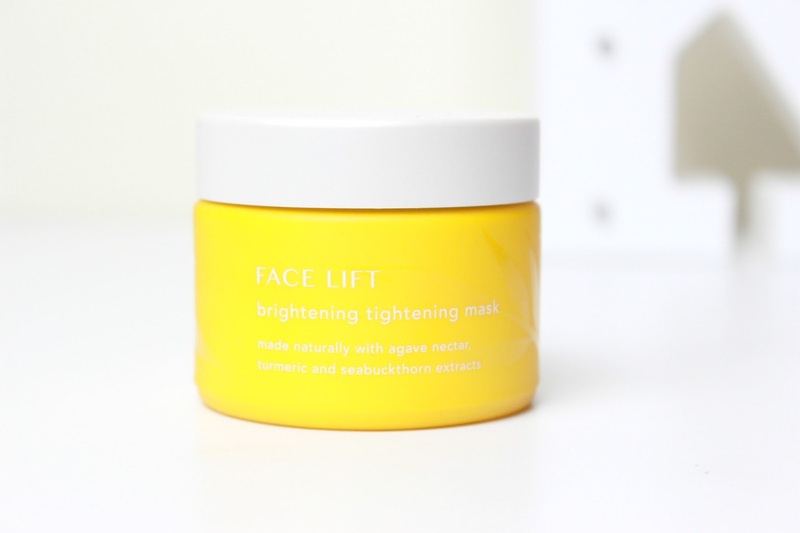 The Face Lift mask is filled with an array of amazing natural ingredients including turmeric and clay to help promote a brighter and lighter complexion, electric daisy extract to work on tightening those pesky fine lines and seabuckthorn extract and agave nectar to help nourish and hydrate the skin. I popped this on evenly all over my face and around my jawline with an old (clean) foundation brush and left for around 20 minutes. The directions say you can leave it on between 10 and 20 minutes but I thought I'd put it to the test and left it on for the full 20 minutes. In terms of face masks this has to be one of the best I have ever used. (Yes that is a huge statement.) The mask itself dried pretty quickly leaving me with a hard, tight layer across my face which I LOVE. I always feel like the mask is doing a good job and really penetrating my skin if I can hardly move my face! I washed it off with a muslin cloth and warm water and my skin felt so soft, firm, smooth and did look alot brighter. It's been a few days now and I can honestly say that I can still notice the brightness and firmness of my skin - I haven't been wearing make-up and literally don't want to. I will 100% be using this twice a week from now on - I'm in love.... and fingers crossed over time it's going to help with my minging wrinkles! Have you tried anything from Tropic Skincare? Let me know your favourite products in the comments below!